The Vigil Mass of Christmas saw the biggest congregation of the year in attendance earlier today (Christmas Eve) at a packed St John the Baptist Cathedral in Norwich, when families filled almost every conceivable space. 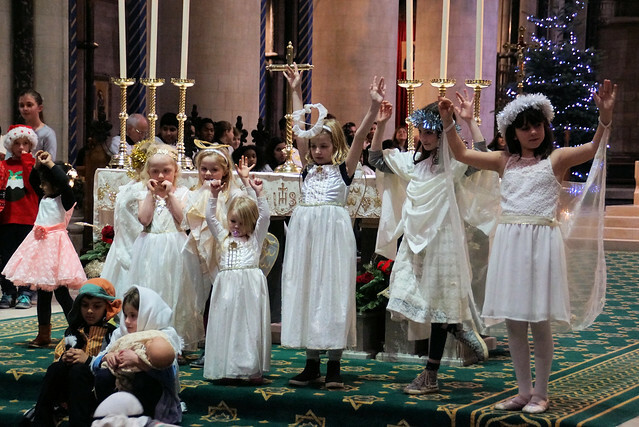 The popular Mass included numerous children who joined in the Nativity scene in front of the altar and then crowded around the crib in the sunken chapel alongside the nave where a large crib was in place and where Cathedral Dean, Canon David Paul, spoke to them and led the singing of Away in a Manager. Click below for a full picture gallery. Pictures by Keith Morris.